Sean Lennon commands a Sub 37 while Charlotte Kemp Muhl carries the bass on a Sub Phatty. Both singers' voices are affected with a pair of Moog 500 Series Analog Delays. 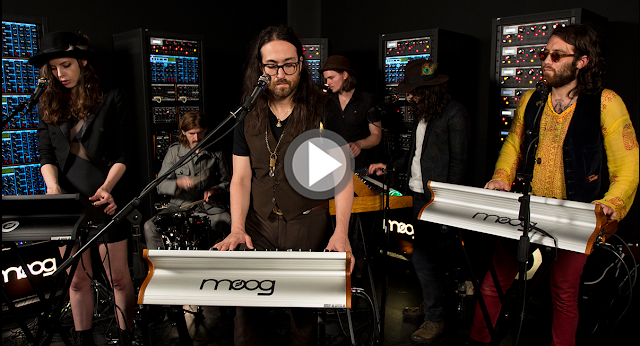 Tim Kuhl drives the rhythm section via electronic drum triggers controlling 6x Minimoog Voyager RMEs. Robbie Mangano performs with an Electric Blue Minimoog Voyager and Jared Samuel rounds out the track on a second Sub 37.